7 month statistics | A covey of Covis! We don’t go to the doctor this month do I don’t have heights and weights but Helen Jeanette is going through so much these days as she learns to be mobile. I am hesitant to call it crawling but she’s scooting and sliding so much that it really comes with the same result. This morning she definitely moved her knees in the crawling pattern but she only went backwards. She’s still eating everything we give her and she’s sleeping at least 7 hours at a stretch, sometimes up to 10. 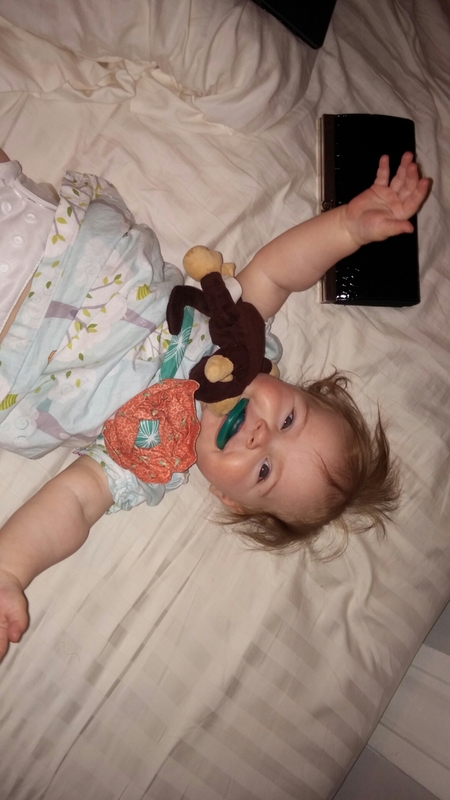 I’m beginning to rethink nursing until one year because she’s started biting, but no teeth have made an appearance yet so well just have to wait and see. She’s talking a lot to herself when she plays or to us. It’s real hard to differentiate between happy noises and mad noises if you can’t see her face. We think her ‘stranger danger’ instinct may have kicked in since there have been a couple instances of unprovoked crying. The most heart breaking of which was when she took one look at my dad and broke into the saddest, most heart breaking wails. 20 minutes later she was happy to sit on his lap, but at first she was terrified. She’s reaching to be picked up and loves to hold out her arms for us. She likes to go back and forth between Silvia, the nanny, and me, she’ll hold her arms out for the other as soon as she’s passed over. She’s a dear sweet little thing and so much fun. We can’t believe she’s 7 months old but we’re loving every minute. Jess & Chris!!! With every post I can’t get over how gorgeous and smily Helen Jeanette is!!!! My mom is loving your blog, too. So glad everything is going so great with y’all. 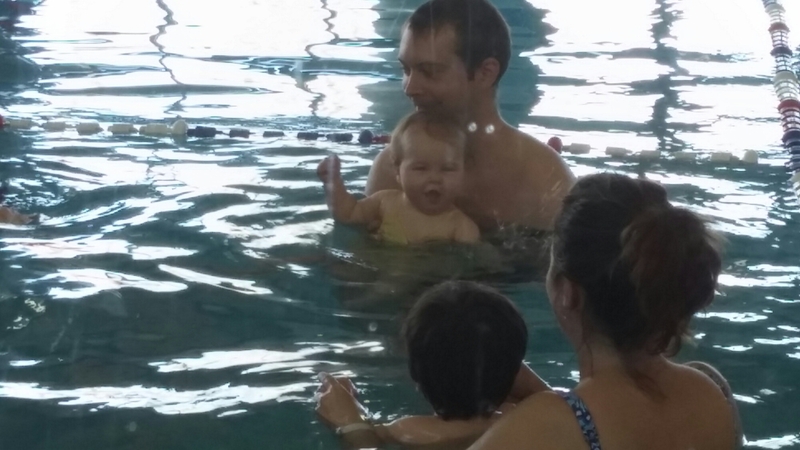 I love that you already are into swim lessons with her! 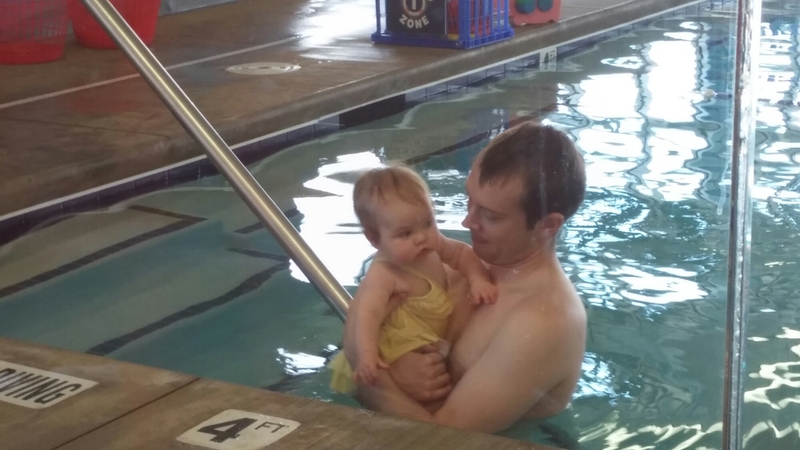 Lifeguarding during “Mommy and me” lessons at the YMCA was totally my fav, so many sweet moments :))) HJ’s yellow swimsuit makes her look like Belle and all her clothes, esp. the handmade ones are so beautiful!